The Lower McKenzie Wild Trout Population Study, which ran from 2010 through 2013, examined the effects of removal of hatchery trout on the wild trout population in a 5.1 mile section of Oregon’s McKenzie River. 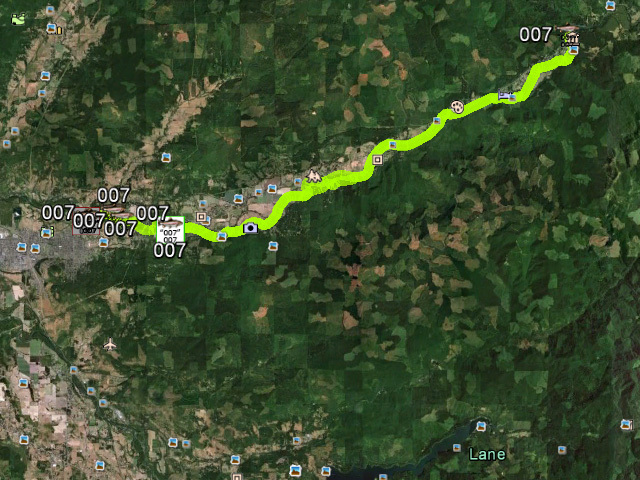 Concerns over the health of the McKenzie’s wild trout populations led the Oregon Department of Fish and Wildlife to discontinue hatchery trout stocking in a 5.1 mile section of the river in early 2010. Study proponents felt that a wild trout recovery would occur; but with a lack of case studies in the Pacific Northwest, no one knew for sure. A government agency, generous sponsors, and a large group of committed volunteers helped make this study happen. Data was collected in the spring of each year by volunteer anglers trained in study protocol. ODFW staff provided training, technical guidance and supplemented volunteer effort with electrofishing and seining. Volunteers trained to professional data collection standards contributed over 2500 hours to the study. Data collection techniques and population estimates followed standard scientific protocol. Data was collected in the spring of each year by volunteer anglers trained in study protocol. ODFW staff provided training, technical guidance and supplemented volunteer effort with electrofishing and seining. Once hatchery trout were removed from the study section, angling success skyrocketed. Average catch per angler hour increased from 0.30 wild trout per hour (2010) to 1.15 wild trout per hour (2013). In only four years since the removal of hatchery trout, total wild trout abundance increased from an estimated 729 fish per mile to 2,143 fish per mile. 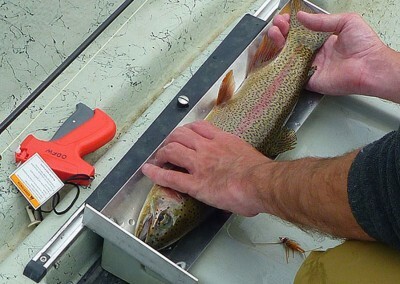 Both wild rainbow trout and wild cutthroat trout populations increased substantially. 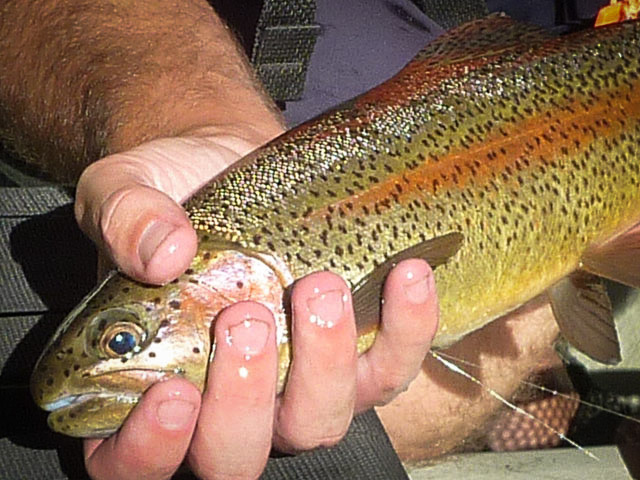 What is the Lower McKenzie Wild Trout Population Study? Though the study started in 2010, the story began several years earlier. A group of citizens expressed concern about the current management of the Lower McKenzie. Hatchery rainbow trout were stocked in the majority of the river to provide a consumptive fishery. Populations of wild trout in the Lower McKenzie were poorly understood, and little monitoring was in place. Anecdotal reports suggested that the wild trout populations were not healthy, possibly as a result of competition from hatchery trout and incidental mortality from the hatchery trout fishery. In the late fall of 2009, the Oregon Department of Fish & Wildlife (ODFW) discontinued stocking in a short section of the Lower McKenzie. This decision offered a fantastic opportunity to study what would happen to the wild trout population once competition from hatchery trout was curtailed. 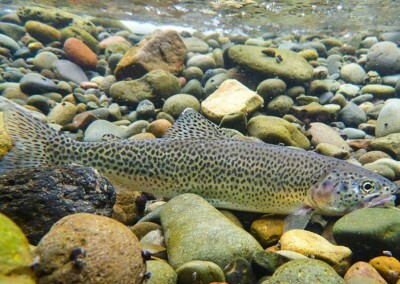 A unique partnership emerged to try to answer several key questions – the biggest being “will wild trout populations recover if hatchery trout are removed?” With the guidance of ODFW biologists, the volunteer coordinators of the new Lower McKenzie Wild Trout Consortium outlined a study plan. 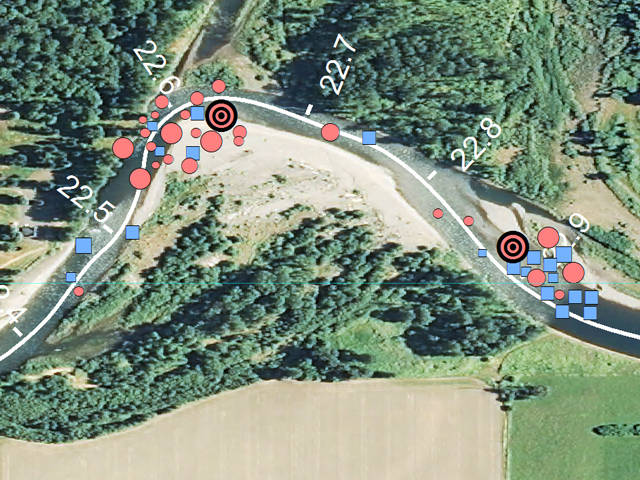 The study used mark/recapture methodology to generate estimates of the size of the wild trout population in the study section. 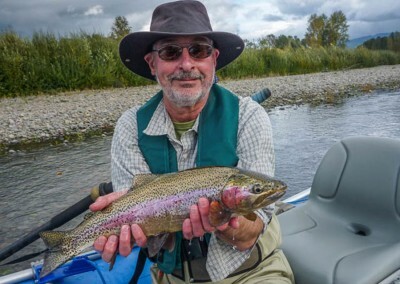 Volunteer anglers (108 participants in all), trained by ODFW biologists in data collection methods, tagged and recorded over 3,100 fish during the course of the study. Volunteer coordinators, assisted by ODFW staff, performed the data tabulation and analysis. It is believed that the Lower McKenzie Wild Trout Population Study is the largest study of its kind which has been conducted primarily with volunteer effort. Results far exceeded expectations. 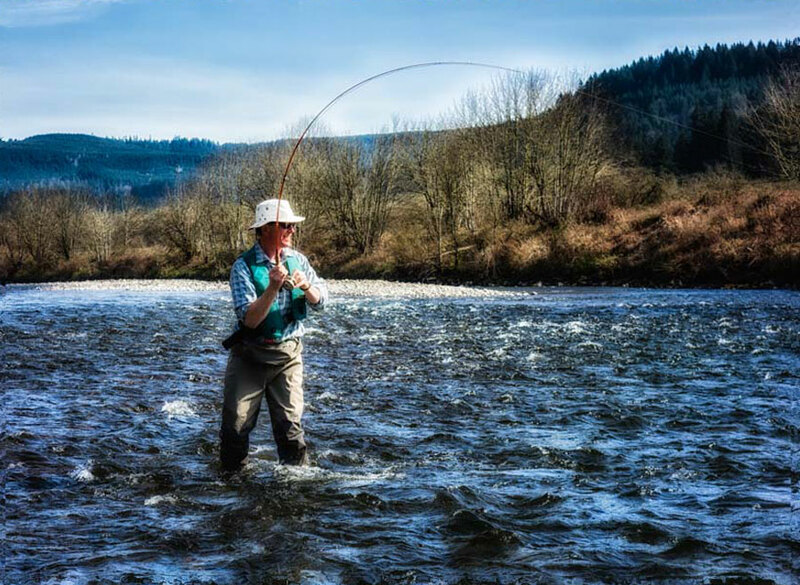 Anglers experienced better fishing, especially in the later years of the study. The population estimate statistics conformed what anglers had been seeing. 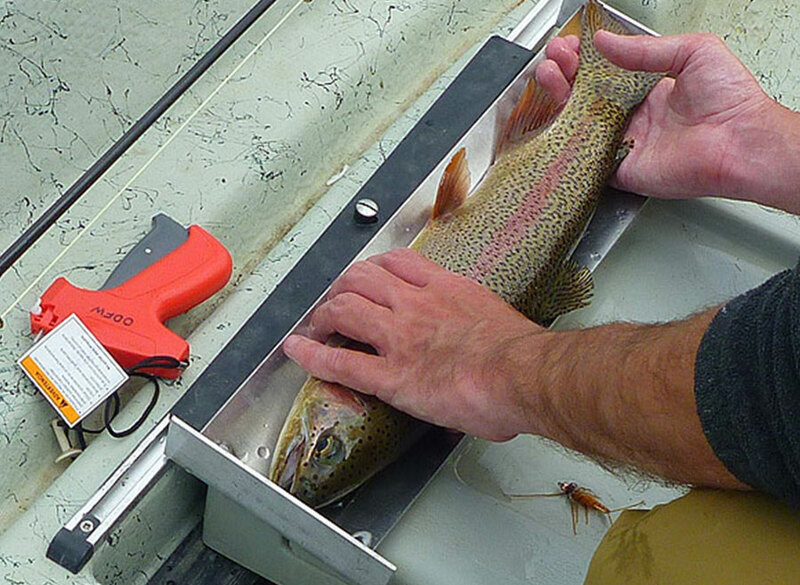 Wild trout populations, both rainbow and cutthroat, increased dramatically. The estimated number of wild trout per mile increased from 729 per mile in 2010 to 2,143 per mile in 2013. The composite wild trout population estimate increased on a year-over-year basis for every year of the study. 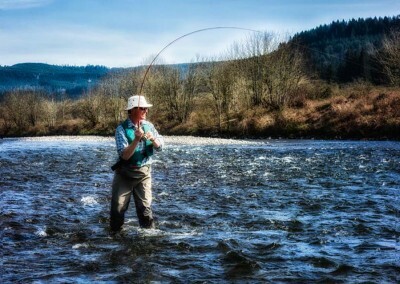 The study was conducted on Oregon’s McKenzie River, just outside of the Eugene / Springfield metropolitan area. Hendricks Bridge Park (river mile 24.1) marked the upstream boundary of the study section. Bellinger Boat Landing (river mile 19.0) marked the lower limit of the study section. What happens to wild trout when competition from hatchery trout is removed? Start at the beginning, and see what we found!